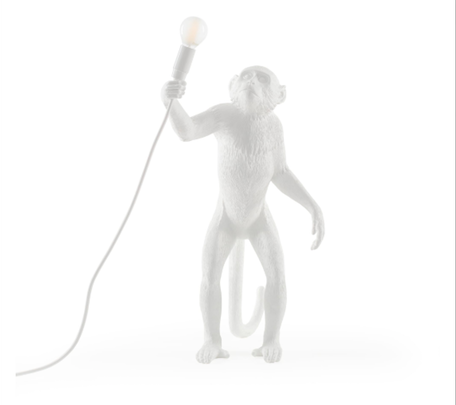 Monkey lamps will easily compliment any decor, adding their curious personality to your home showing you're not ape when it comes to style! 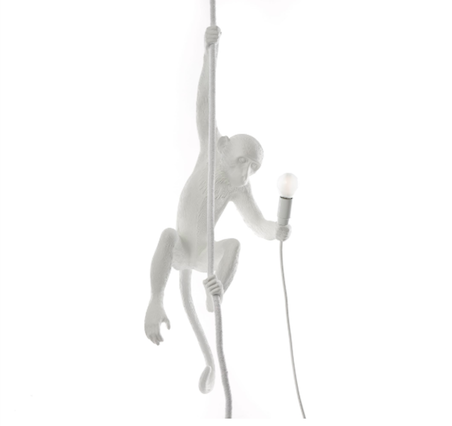 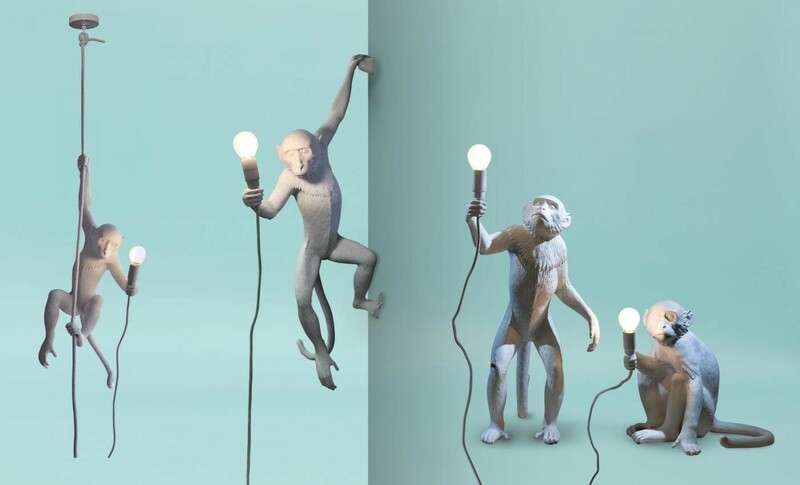 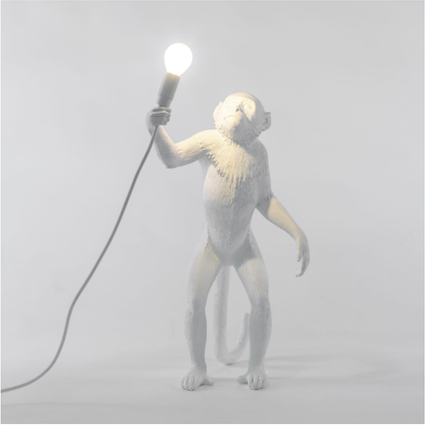 The Monkey collection features four lamps with four different poses : sitting, standing and hanging and hanging on a rope, each holding a warm white LED bulb to bring a soft glow into your room. 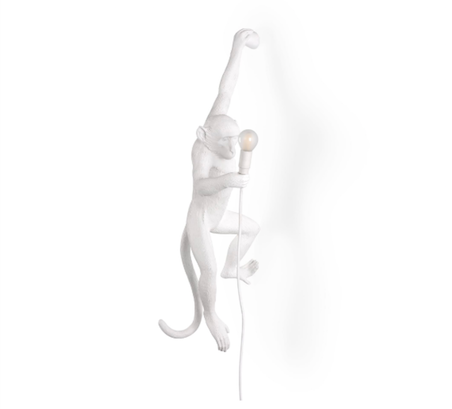 Also find the new Monkey candle holder. 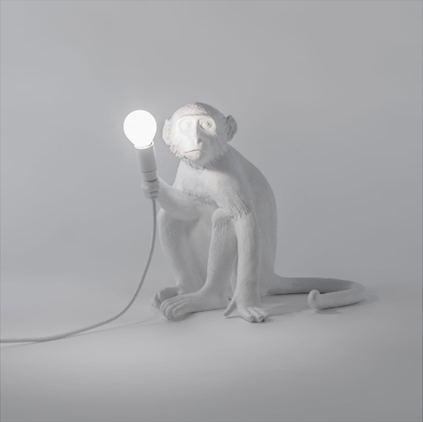 You can also complete Monkey lamps sitting, hanging, standing and hanging on a rope, black or white, with black or white shade. 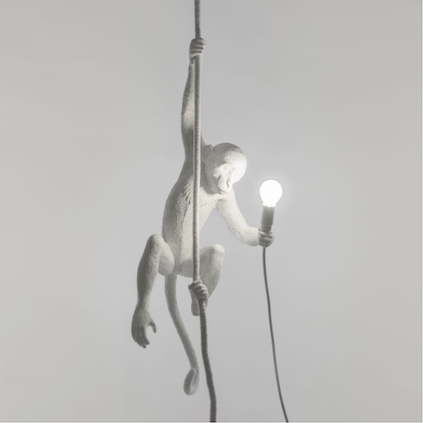 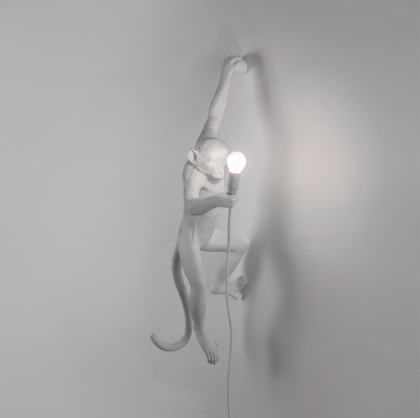 Monkey can be arranged in pairs or individually according to your tastes for a unique lighting with a wild touch. 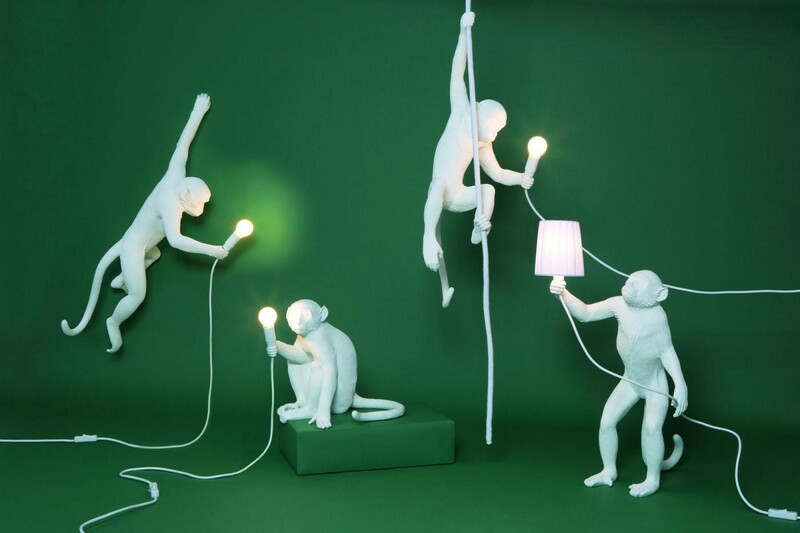 Each lamp is provided with a LED bulb, provided, and a white braided cord of 450cm length with switch, so that these little monkeys can be arranged anywhere in your interiors. 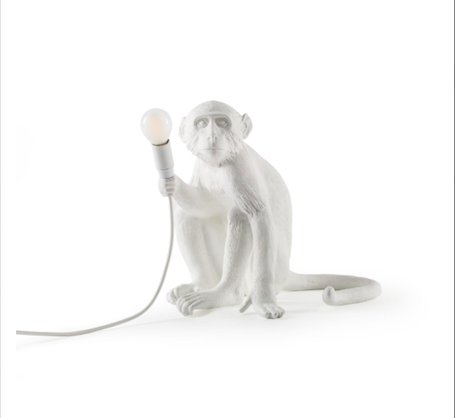 Monkey is made of neutral white gold and metal resin.